The Grisons Striped goat milk production is not equal to that of other breeds, which lead to ranchers not breeding them. In 1992 only twelve registered bucks remained! Luckily a group of concerned goat breeders have joined together and have taken the promotion of the breed by the hand. Above all else, they have devoted attention to milk production and the avoidance of inbreeding. 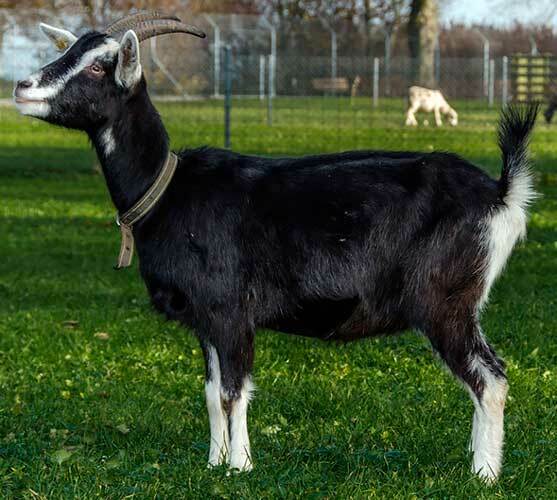 In 1994 four bucks and two nannies were imported from Great Britain which have the same color characteristics as the Grisons Striped Goat, but significantly better milk production. Since then many associations and private individuals have participated in the restoration, and the endangered Grisons Striped is now experiencing a comeback!